A missal gives the texts and rubrics and connects diffrent elements of the mass including quotes, religious tales and songs. The Cena or Coena Cypriani (i.e. Feast of Cyprian) is a satirical prose work from the 3rd century AD,which describes the wedding feast in Cana and the famous miracle of changing water into wine. Similarly, the Bled Missal connects stories, poems and sayings into parables. The show is based on the medieval carnival skills of clerici vagantes and goliards. The group builds its performance on a mixture of contemporary and old tales – only stories, no scenery and no spectacle. A modern yet ancient, almost traditional, performance of story-keepers and story-tellers. Jani Kovačič has been writing poetry, satires and popular songs At the same time he has also been writing complex sound pictures. Aphoristic style, ironic syllogisms and chillike naivety enrich his texts. He is a town’s folk singer, inventor, explorer of the human mind and an immortal individualist. He has a great appreciation for human stupidity. "Stupidity is king!” He is a real antihero and supporter of the new humanism and solidarity, brotherhood, diversity and comfortable life. Fame is an unnecessary burden, which makes things predictable. He presented songs of his new cycle Akkkustik teArter at the venue KUD France Prešeren. He gave up publishing songs completely. All we have are his performances and their unique delirium and memory bombs. When Slovenia gained its independence he foretold the period of privatisation in all its forms in his "Tolovajske balade” (Bandit ballads). A year before Slovenia’s admittance to the European Union he predicted a loss of identity and empty greediness in his "Bulvar Bankrot” (2003). He bid his farewell to the 20th century in "Balade s ceste” (Street Ballads) I. and II. His work "PostBožični Psalmi” (Post-Christmas Psalms) predicts a new era of post biblical and post- mythical proportions. Jazz became global ethno and in Jazzitette (2006) he creates new type of urban jazz. In 2009 he write a book KNJIGA and concert of Prastare pesmi (Ancient songs). For 2010 he will perform with a pocket brass group with program "Dizel Slavček & Godba na dihala / Diesel Nightingale & Respiratory Band” for concerts, festivity and streets. And finally will be issued CD with Big Band RTV Slovenija "Cerberus Hotel – Jazzitette”. For 2011 a compilation of songs about global society corrosion was titled Bureau sombre / Dark bureau. In the book of short stories Socialitete ino štorijali (Socialitee & storials) you could find selection of many rhyming and non-rhyming stories and lessons of post-industrial era. Continued in 2012 with the Big Band RTV Slovenia Silicone times - Jazzitette2 in that is a Akkustik teArter's program and a new achievement for NUJ (New Urban Jazz). For 2013, prepared Besne pesmi / Furious songs, catchy suitable tunes for everyday-strike use. In 2017 he released a double CD with this songs Besne pesmi / Furious songs z Ano Pupedan. With this music he returns to folkoro and clubs. It was also published by Sanje book of poems Agencija za človeške vire / Agency for human resources. And now at Bled festival with Klemen Leben Blejski misal. Klemen Leben is one of the leading accordion players of the younger generation. He studied accordion with Prof. Ivan Koval and Prof. Matti Rantanen at the Franz Liszt Academy of Music Weimar and Sibelius Academy in Helsinki. Klemen Leben is actively playing as soloist and chamber musician in Europe and North America and has received widespread acclaim for his performances at prestigious festivals and venues (Salzburger Festspiele, Music Biennale Zagreb, Konzerthaus Berlin, Semper Oper Dresden, KKL Luzern, Waldbühne Berlin, Gewandhaus Leipzig and others). He played with prominent orchestras such as Kammersymphonie Berlin, Mozarteum Salzburg, Staatskapelle Weimar, RSO Slovenia and Prague Philharmonic under renowned conductors including Christian Thielemann, Marco Armilliato, Jürgen Bruns and Michael Sanderling. His „exceptional concert" at the 28th Music Biennale Zagreb (April 2015) has been praised as „the best moment" of this year‘s edition of this renowned festival of contemporary music. 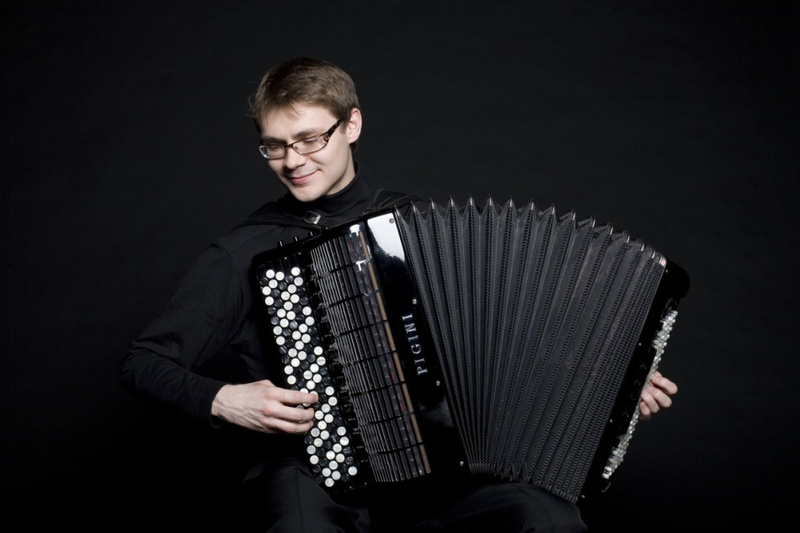 He is a winner of several international competitions – the most prestiguous of them the 46th accordion competition Klingenthal 2009 – and records for many broadcasting companies (ORF, Deutschlandradio Kultur, SWR, ZDF, RAI, HRT, RTV Slovenia and others). 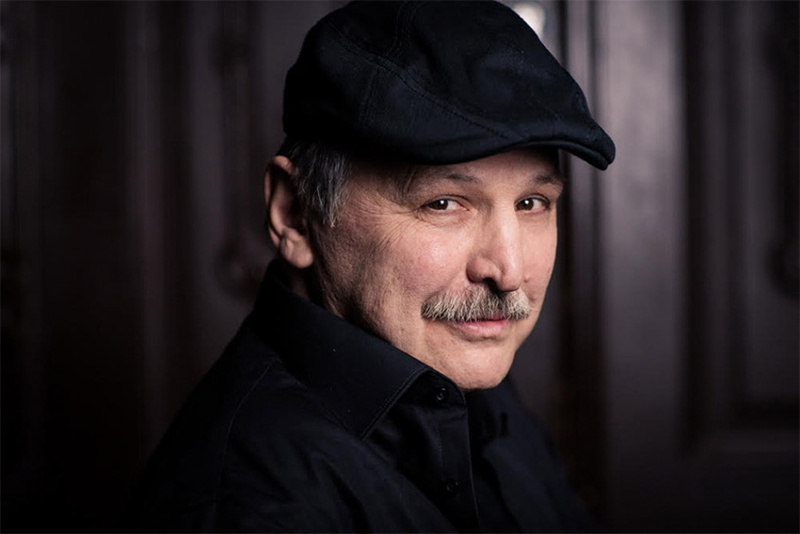 His repertoire covers a wide range of musical styles: from Renaissance to original contemporary music for accordion. An important part of his musical activities is cooperating with composers (Aho, Hosokawa, Katzer, Lebič, Pintscher, Rojko, Šenk and others), resulting in a notable number of premieres. Believing that musicianship requires more than performing Leben is also active as a composer. His works, ranging from works for solo instruments, chamber music to orchestral music, are performed internationally. Leben‘s composition „Formula magica" (fl, ob, sax, pno, acc, vlc) has been awarded 3rd prize at the 7th int. competition for composers preArt in Basel (CH). Klemen Leben was teaching 2010/11 at the FRANZ LISZT Academy of Music in Weimar. In September 2011 he was appointed Professor of Accordion at the Conservatory of Music and Ballet Ljubljana. Since October 2012 he is also teaching at the Academy of Music Ljubljana. Leben is also internationally active as a jury member at renowned accordion competitions. Entry fee: 12 €. Purchase of tickets (cash) is possible every day between 9am and 6pm in the lobby of the Festival Hall Bled and an hour before the concert starts at the venue.